When we did the .44 Special and .44 Magnum tests, I didn’t yet own my 6″ Colt Anaconda. And since my Winchester Model 94AE has a 24″ barrel, we decided to not include it in the tests (which only go up to 18″). But this afternoon I decided to take my solo chronograph and go out and do a bit of informal testing. I was prompted to do so because I had picked up some new Buffalo Bore ammunition that I wanted to try. 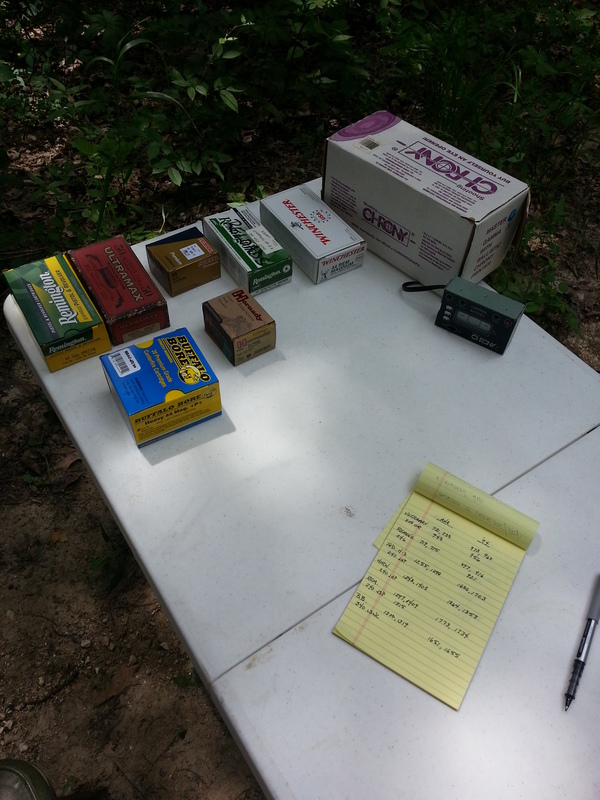 But since I was going out anyway, I decided to grab whatever factory ammo I had and just do a little informal testing. What follows are the results … using just one chrono, and usually just shooting just two or three rounds and averaging them. Below the velocity is calculated Muzzle Energy. 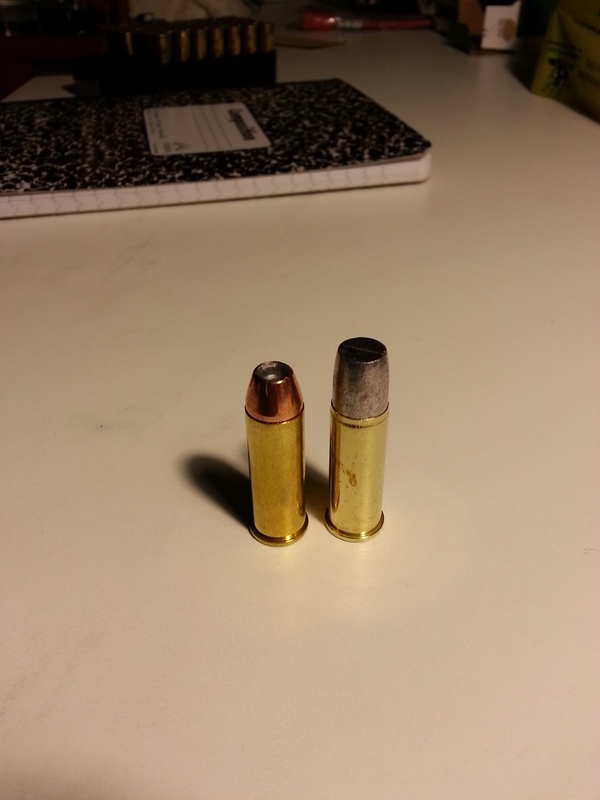 And a graphic demonstration in the power difference between the performance of bullets shot out of the revolver and the rifle: using the same reload (a 245gr LRN with 8.5gr of Titegroup), shot from about 25 yards. 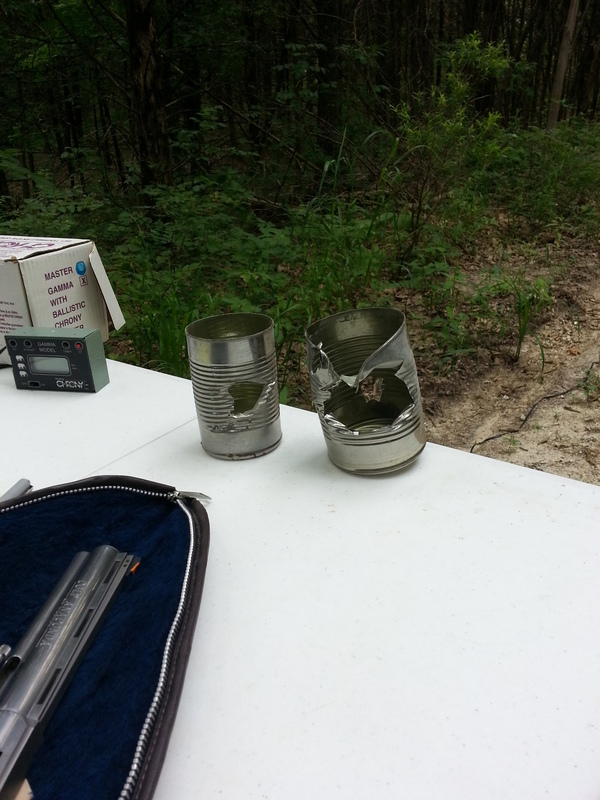 The can hit with the Anaconda on the left, the rifle on the right. 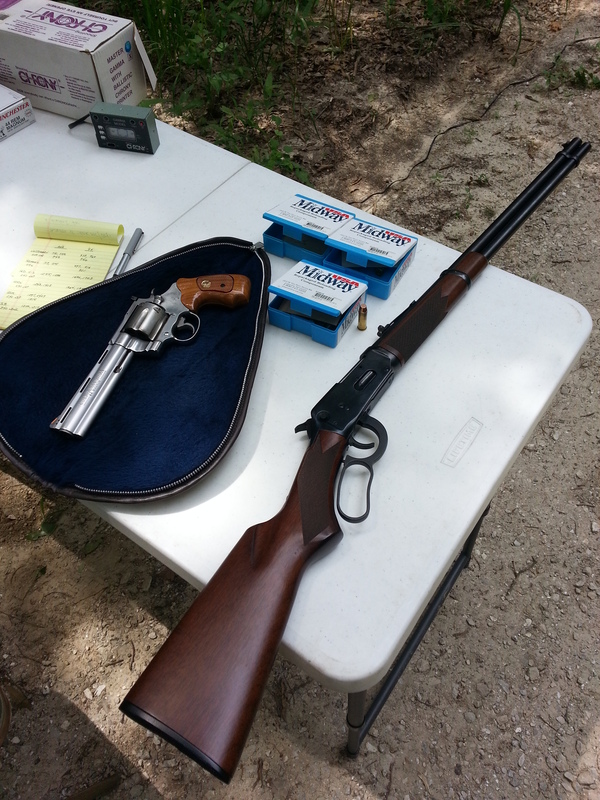 July 2, 2013 - Posted by	James Downey | .44 Magnum, .44 Special, Anecdotes, Data, Discussion. I only have a Henry lever action, 22lr but it is really fun to shoot! Gate Loaders were nearly non existent in the 22 realm, I guess the insertion thru a gate could dislodge the bullet from the brass. Gate loading lever guns are quite appealing, with their ability to be topped off w/o plunger removal.